Home » Crime, Featured, Miscellaneous, People & Places » Was Zebedee Loague’s Death the Result of a Seizure or Fatal Attack? Was Zebedee Loague’s Death the Result of a Seizure or Fatal Attack? 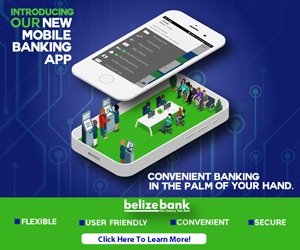 Last Monday, on October thirty-first, at around ten-thirty, police discovered a man on the pavement on Central American Boulevard, Belize City with head injuries. According to police, he was suffering from seizures and was taken to the Karl Heusner Memorial Hospital for medical treatment. But it was not until four days later that the aunt of thirty-four-year-old Zebedee Sebastian Loague was notified that he had been hospitalized in a critical condition. He underwent several surgeries, but on Wednesday morning, Loague passed away inside the Intensive Care Unit of the K.H.M.H. News Five spoke this afternoon with Maria Loague via phone about the sudden death of her nephew. She believes that Zebedee was attacked and hit multiple times to the head. 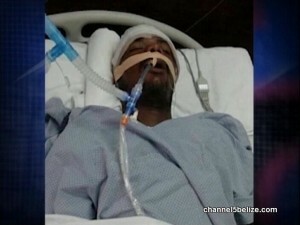 While police say that he suffered from a seizure, the family maintains that he was attacked in proximity to his apartment on Central American Boulevard. “Jihad” McLaren to Court for Weed – Are Activists Under Threat? 50 Thousand Pounds of Imported Ham for Christmas? The Belize International Film Festival is Here! National Track and Field Championship: The Comeback for Athletics?